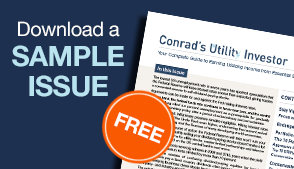 Editor’s Note: Roger Conrad is hosting a Free Live Chat at 2:00 pm ET, Oct. 3 to celebrate the launch of Conrad’s Utility Investor. Don’t miss this opportunity to pick Roger’s brain about his favorite dividend-paying utility stocks and the latest developments in the sector. If we’ve learned anything from Apple’s business and stock price performance over the past 18 months or so, it’s that the iconic device provider is no sure thing. And despite the currently fat $3.05 per share quarterly dividend, it’s no income stock either. Don’t get me wrong. Apple is an admirable company. In fact, I confess to a personal addiction to my iPhone, iMac, MacBook Pro and iPad. But given the cutthroat competition in the handheld communications device industry, Apple is overvalued once more, and ripe for a fall. And lest anyone think the high dollar dividend provides downside protection, consider it’s exceeded by the price range of a typical trading day. This summer, my colleague Elliott Gue penned an article “Forget Apple: The Profitable Way to Play the Smartphone Boom,” pointing out that Apple’s global market share has actually declined over the past year and a half. In fact, it’s now little more than half that of Samsung Electronics (Seoul: 005930, OTC: SSNHZ). Market share doesn’t always translate into profits, particularly in a sector where price-cutting is a favorite tactic. But in this case, Apple’s decline coincides with the rise of many smaller players, as well as growing saturation of mature markets like the US where it’s been strongest. International Data Corp estimates annual gains in North American smart phone shipments will average less than 10 percent to 2018, down from 44 percent average growth from 2007 through 2012. Meanwhile, the 10 largest device makers’ share of global markets has fallen from more than 90 percent two years ago to only about 75 percent now. To be sure, the market is still growing. And every time Apple enters a new country or launches a device improvement, sales and earnings should get a pop. But as the iPhone 5 bust demonstrates, such gains are no longer automatic. And the slower its market grows and the more competitors rise up, the greater the pressure to compete on price, and sacrifice profit margins. So what’s Apple stock really worth? 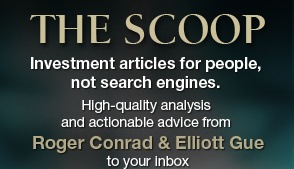 Elliott and I will be running a series of articles on the company for our readers at Capitalist Times, as well as Conrad’s Utility Investor. And we’ll be taking a hard look at earnings slated for release the last week of October. Whatever they show, however, it’s inescapable that Apple lives in an industry that’s highly competitive and changes extremely fast. And the stock’s underlying value can change dramatically with each set of hard numbers. That’s the hallmark of a stock to trade, and certainly not to buy for long-term growth and income. In fact, it’s a stark warning for anyone who’s bought any technology stock on the basis of yield, from Intel (NSDQ: INTC) to Microsoft (NSDQ: MSFT). Tech is often a great investment for growth and the occasional moon shot. But it’s no place to seek a safe yield, or sure path to growth. According to Bloomberg, 46 research houses are currently bullish enough on Apple stock to rate it a buy. 16 consider it a hold and four have put out a sell recommendation. All of the analysts with buy ratings on the stock, however, have target prices well above Apple’s current level. Message: No one who’s studying this stock seriously is buying it for its dividend. If you don’t want to bet on growth, this is not a stock for you. As the first major wireless operator to offer the iPhone—and after that numerous other Steve Jobs devices — AT&T (NYSE: T) has been mentioned over and over again with Apple over the years. Today, however, the buzz is decidedly more negative about the carrier than the device maker. Of analysts covering the stock, 11 rate it buy, 25 hold and 3 sell. Short interest is also higher against the company, with 5.6 days average trading days needed to cover short volume versus just 1.1 day for Apple at last count. Why the discount? I believe there are two clear concerns with AT&T now. First, Vodafone Plc’s (London: VOD, NYSE: VOD) sale of its 45 percent stake in Verizon Wireless has raised speculation that it may be a takeover target, with AT&T as the primary potential suitor. That in turn has spurred worries the company isn’t ready for the challenges of economically depressed and regulator challenged Europe. The other is competition from US number three wireless company Sprint (NYSE: S) and number four T-Mobile USA (NSDQ: TMUS). Both companies have been extremely aggressive cutting prices in recent months, in an attempt to win customers. And there’s some evidence of success in recent months. Until AT&T does a mega deal—or states definitively it intends to grow organically by acquiring US spectrum and specialty operators—there will be uncertainty on the takeover issue. And it’s likely to hang over the stock as a discount, even if the company continues to post strong numbers. The current yield of 5.3 percent, however, provides solid downside protection until then. In fact, it’s arguably pricing in a lot of the risk of a Vodafone-sized deal. Moreover, another one-penny increase looks likely to be declared on November 8 for the February 2014 payment. As for the bears’ competition argument, the most compelling retort lies in the evidence in my table “Telecom Money Power.” Over the three years ended June 30, AT&T spent more than $62 billion on its network. That’s better than 35 percent of the roughly $176 billion the 15 largest US communications companies did. It’s also roughly what numbers 3 through 15 spent over that time, including what Comcast (NSDQ: CMSCA) and Time Warner (NYSE: TWC) ploughed into their wireless-free cable networks. And it’s four times what T-Mobile USA and Sprint spent combined. The only company that comes close to spending what AT&T has is Verizon, which not coincidentally with AT&T serves more than 85 percent of the wireless industry’s most valuable contract/data customers. Why is network spending so important? Ironically, it’s largely due to the success of device makers like Apple selling the public on the indispensability of wireless data. The 2008 credit crunch triggered a stock market and economic collapse of a magnitude not seen since the Great Depression of the 1930s. Wireless data sales, however, soared throughout, and have continued to do so in the years since. That demand growth has triggered a race for wireless service companies to keep their networks up to speed. And the only way to do that has been to spend tens of billions of dollars on innovations like 4G LTE—long-term evolution—as well as to acquire wireless spectrum whenever and wherever it’s available. The effective buyout of Sprint by Japan’s Softbank (Japan: 9984, OTC: SFTBY) did provide a badly needed cash infusion to the number three wireless company. But recent merger talk by Sprint and T-Mobile USA shows clearly that it’s failed to close the company’s multi-year investment gap. In fact, Sprint was recently forced to renegotiate credit lines after issuing a series of junk bonds, as its overall debt load has risen towards $32 billion. Moreover, Sprint has spent more cash than it’s taken in for several years now, a condition called “negative free cash flow” that offering cut-rate pricing with no contracts will only make worse even if there are customer gains. And the same is true of T-Mobile USA, which Deutsche Telekom (Germany: DTE, OTC: DTEGY) looks more anxious than ever to cash out of. In contrast, AT&T both increased market share and generated $7.9 billion in free cash flow during the first half of 2013. In effect, the company has widened its industry advantage, while actually strengthening its financial position and paying a big, well-covered and rising dividend. Those are sterling credentials for any dividend-paying stock. And they’re attached to an underlying company that’s one of two leaders increasing dominance in a growing and increasingly essential service industry. Apple simply hasn’t a prayer of matching up them. Remember that as earnings season approaches and bulls and bears alike start to crank up the hype. 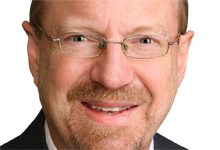 08/26/13: MoneyShow — Elliott Gue – Where is Crude Oil Headed?